Your journey should never be held hostage to the subpar performance of inferior parts. Genuine Porsche parts are designed with such precision, with tolerances so incredibly tight, that Porsche confidently backs them with a Limited Warranty that’s good for two full years and unlimited mileage. It includes both parts and labor at all U.S. Porsche dealerships and covers every genuine Porsche part we sell, when sold and installed by an authorized U.S. Porsche dealer. When it’s your turn, don’t settle for anything less than Genuine Porsche parts. 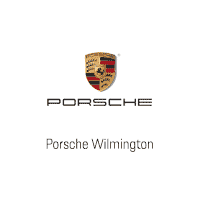 Parts supplied by PCNA and purchased from and installed by an authorized Porsche dealer at time of purchase are covered for two years, unlimited mileage from the date installed, unless the repaired or replaced part is covered under the New Car Limited Warranty. Any repaired or replaced parts are covered only for the remainder of this warranty. All parts replaced under this warranty become the property of PCNA. PCNA will arrange for repair or replacement using new or remanufactured parts distributed by PCNA, at its sole option, any part covered under this warranty that is defective in material or workmanship under normal use. Parts that were sold and installed by an authorized Porsche dealer will be repaired or replaced without charge either for parts or labor. If installed by anyone else, the cost of the replacement parts or accessories will be borne by PCNA (even in the case of emergency repair), but labor charges will be your responsibility. All parts supplied under this warranty will be supplied by PCNA and all parts replaced become the property of PCNA. To be driven on reasonable road surfaces within legal speed limits. Porsche Guidelines specify reasonable mileage to be at least 15 miles / 24 kilometers per day or 6000 miles / 9600 kilometers per rolling 12 months. To be run on unleaded gasoline with the recommended octane rating, or Ultra Low Sulfur Diesel (ULSD), depending upon the vehicle’s powertrain, as specified in the Owner‘s Manual. To be properly maintained according to the Maintenance Schedule in the Maintenance Booklet and Car Care Instructions in your Owner’s Manual. You must keep the receipts as proof of maintenance. You are responsible for presenting your Porsche vehicle to an authorized Porsche dealer as soon as a problem exists. Failure to do so could result in consequential damage that may not be covered by your limited factory warranty. Parts installed in vehicles for racing, competition, or track use. Batteries damaged from storage, lack of normal vehicle use, or nonPorsche approved electrical or accessory installation. Parts for which proof of purchase date, installation date and vehicle mileage at the time of installation are not presented. Parts considered normal maintenance items (such as brake pads, linings, clutch discs, tires, exhaust systems, shocks, struts, wiper blades, trim, decals, foil, mirror/car cover, bras, paint, etc.) unless they are defective in material or workmanship. Parts replaced under the New Car Limited Warranty, or parts covered under other warranties. Normal wear, adjustments, or deterioration of any part. Parts installed in a car with an odometer that has been altered so that the actual mileage cannot be determined. Improper repairs causing damage to the vehicle, its engine, or parts. Abuse, accident, acts of God, or other events beyond the control of PCNA, competition, racing, or track use. Minor wind noise and insignificant seepage at the joints between the top and the body, or door windows in Cabriolet models cannot be completely avoided under all circumstances. Your Cabriolet or Targa should not be washed in a car wash and may experience damage to the top or window due to the scratching by the brushes, or may experience leaks due to the high pressure water streams directed in areas which would not experience water in normal driving conditions. Tires damaged by premature wear. Note: Porsche’s race-bred heritage demands that tires are an integral part of the vehicle suspension, braking, and active safety systems. As a result, all Porsche vehicles are equipped with tires designed for higher performance than those found on other passenger vehicles. While tire wear varies with vehicle operation, high performance tires like these are designed to assist the vehicle’s suspension in delivering increased cornering forces and better handling. They may exhibit increased wear characteristics when compared to tires on other passenger vehicles. Consult your Owner’s Manual for information concerning the proper care and selection of your tires. Refer to the Porsche Tire Information Guide for additional information. Your vehicle is a mechanical device. All mechanical devices make some sort of noise and/or vibration, and those noises and vibrations can differ from vehicle to vehicle. PCNA recognizes those noises as normal and characteristic of the product. Normal noises or vibrations as determined by PCNA can be anything from brake squeal to road vibration. Therefore, normal noise and/or vibration and/or deterioration as determined by PCNA or its representative is not covered by our warranty. The defective part, or the car in which it is installed, must be returned by the purchaser to an authorized Porsche dealer during normal service hours. You must provide a receipt that shows proof of purchase for the part, as well as the installation date and the mileage at the time of installation. If the car is not driveable because of a defect in the workmanship or materials covered by this warranty, call the nearest authorized Porsche dealer for assistance. If you cannot get warranty service, or you are dissatisfied with the service or with a warranty decision, refer to the Customer Information section in this Booklet. Rusting of the outside of the underbody (floor pan) or any other part of the car except body panels. Rusting of body panels that were replaced, repaired, or refinished after the car was first sold at retail, other than genuine Porsche parts supplied by an authorized Porsche dealer. Body panel rust caused by abuse or lack of maintenance. Environmental damage such as that caused by acid rain or other industrialcpollution, insect or bird droppings, tree sap, stones or other flying objects, highway maintenance chemicals, flood, storm, and other forms of disaster. Accident, acts of God, or other events beyond the control of PCNA, collision damage, abuse or repairs. Unauthorized modifications or vehicles with salvage titles. To Get Warranty Service You must take your Porsche vehicle to an authorized Porsche dealer during normal service hours. If you cannot get warranty service, or you are dissatisfied with the service or with a warranty decision, refer to the customer information section in this Booklet. You must maintain your Porsche vehicle according to the Appearance Care and the Car Care Instructions in the Owner’s Manual. To be properly maintained according to the Maintenance Schedule in the Maintenance Booklet and Car Care Instructions in the Owner’s Manual.